For investigative reporter Jerry Mitchell, the unsolved murders of the 1960s civil rights era are still today’s news. His reporting for The Clarion-Ledger in Jackson, Miss., has helped put four Ku Klux Klansmen in prison and sparked even more arrests and convictions across the Deep South since 1989. That’s won him criticism as a “white traitor,” death threats and some of journalism’s top awards. Mitchell is the 2005 winner of the $25,000 John Chancellor Award for Excellence in Journalism, which is administered by Columbia University. At 47, he is the youngest recipient of the award. He is also the 2005 winner of the George Polk Award for Justice Reporting, another of journalism’s most prestigious awards. He has been nominated for a Pulitzer Prize this year. 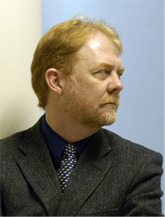 Mitchell began digging into the civil rights-era murders in 1989, when he was a court reporter for The Clarion-Ledger. His original inspiration was the movie “Mississippi Burning,” which told of the 1964 killings of civil rights workers Michael Schwerner, James Chaney and Andrew Goodman. In one of the most recent fruits of Mitchell’s reporting, Edgar Ray Killen was convicted in June 2005 of helping to arrange the three civil rights workers’ deaths more than 40 years ago. Mitchell’s reporting has also helped lead to convictions of three other Klansmen: Byron De La Beckwith, for the assassination in 1963 of Medgar Evers; Sam Bowers, a KKK Imperial Wizard, for ordering a firebombing in 1966 that killed NAACP leader Vernon Dahmer; and Bobby Cherry, for the bombing in 1963 of a Birmingham, Ala., church in which four young girls died. Since Mitchell began his dogged reporting into the civil rights-era cases, law enforcement officials have also renewed investigations into 29 killings from that era across the South. Those new investigations have led to 27 arrests and 22 convictions. Mitchell grew up in Texarkana, Texas, and has his master’s degree in journalism from The Ohio State University. He and his wife, Karen, live in Jackson, Miss., with their two children.